PAG is a tourist island of Northern Dalmatia and undoubtedly the capital of summer fun of Croatia. Many call it “Croatian Ibiza” for the vast number of young European tourists, numerous proposals for clubbing and for cheap prices. We also inserted it also in SUMMER DESTINATIONS FOR YOUNG PEOPLE. The village of Novalja attracts young people looking for fun, relax and just want to have fun by combining both beach life than disco. The town of Novalja in fact, due to its central location, It is an excellent starting point for excursions to other towns on the island and is the closest location to the Zrce Beach, one of the most lively and active party beaches of Europe, where focuses almost all of nightlife in Pag: along this beautiful beach there are five clubs (Acquarius, Papaya, Noa, Kalypso and Euphoria, open only during the summer season) that enliven the place day and night with music and foam party, with parties that last until morning. These clubs alternate the performances of the famous electronic music DJs throughout Europe as Paul Van Dyk, Tiesto, David Morales, Chemical Brothers and many others. The entry to clubs is almost always free except when there are special events, during which the prices oscillate between the 8 and the 30 Euro. Zrće is a beach composed primarily of gravel and is easily accessible as it is about 4 km from the Centre of Novalja: You can easily reach Zrce Beach in half an hour's walking, by bus from the Centre of Novalja (price: 10 Kune) or in a few minutes by car (There are paying car parks in front of the Zrce Beach. Cost 5 Kune for hour, about 0,70 Euro). The beach, that is one of the 100 Blue Flag beaches in Croatia, It has a fabulous sea, Thanks to the bottom consists of pebbles and sandy. See MORE BEACHES’ NICE PAG. On Zrce beach you can try the most varied activities: bungee jumping, jet-ski, Parties on boats (Party boats), inflatable catapults, Beach volleyball courts and swimming pools: all surrounded by world-class clubs and a fabulous sea. 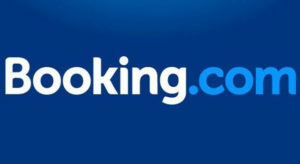 You have to go there at least once in your life! Located on busy Zrce Beach, Aquarius is a bar, disco and swimming pool at ’ where the party never ends and the music plays 24 h 24. 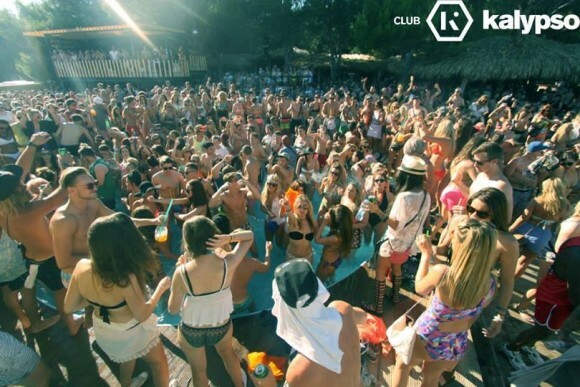 The club works all day long as a beach bar and restaurant, While every afternoon turns into real club, with the after-beach and party foam into large central pool, While in the evening the place breaks loose with theme parties, events and concerts featuring the world's best djs. 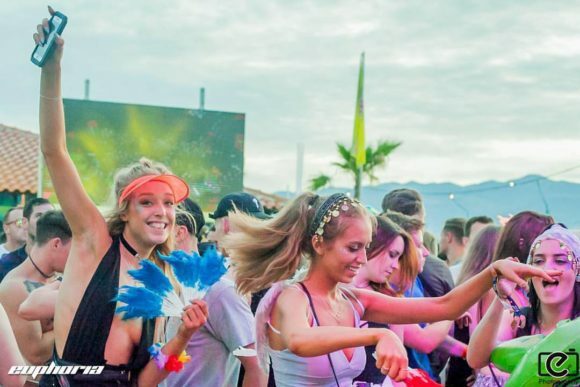 In addition to the large pool, the club has indoor and outdoor dancefloors, lounge and vip spaces, Console, different areas bar and terraces with a wonderful view of the Zrce Beach. Great place to dance or SIP a drink while watching the sun set and rise on the beach, While the best djs of the world pump their music blaring. Among the events organised by Aquarius, stands out the ’ Hideout Festival, the most famous festival of the island of Pag, which takes place every year between June and July. Aquarius is also home to the inaugural event of the season “Zrće Beach Spring Break” and many other festivals and events that take place throughout the course of the summer, between June and September. Along with the Papaya Club, is one of the best known and most popular of Pag. 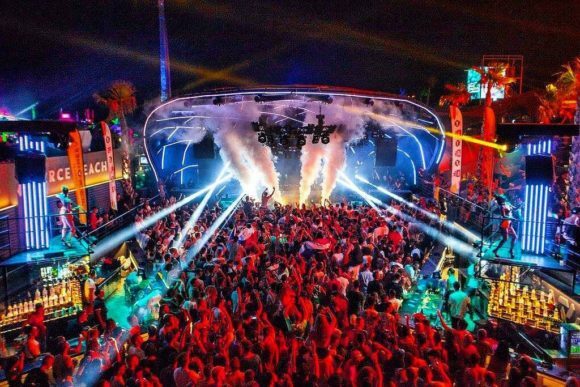 Described as one of the best open-air club of the world, the Papaya It is an exotic style disco with bar, restaurant, vip area, pool, waterslides and Jacuzzi area. Here are organized daily cocktail parties and foam party, and the place is home to internationally renowned djs including Tiesto, Van Buren, Swedish House Mafia and many others. The club, located in the famous Zrce Beach and open from 2002, It is now an institution of Croatian summer nightlife, with thousands of young people who come here to dance and party, including many beautiful Slovenian and Croatian girls. The music is fantastic and the club and always full. Do not miss. 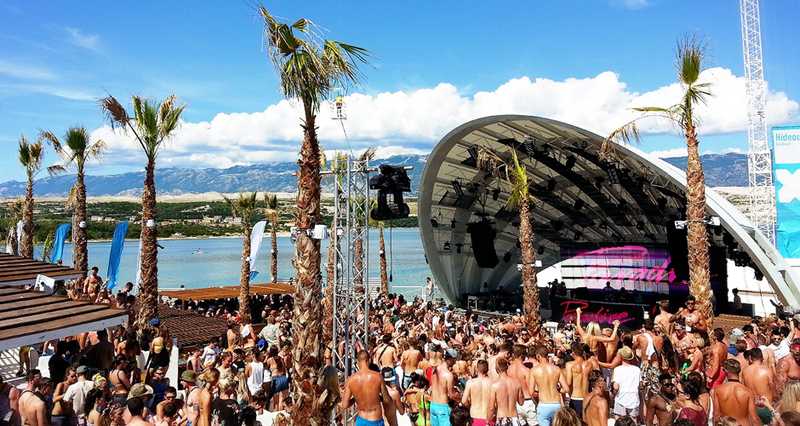 Other club Zrce Beach, the Noa Beach Club ’ is a stylish nightclub located on a stilt house stretched out on the sea. Inside there are dance floors under large gazebo, sofas, swimming pools, vip spaces, massage areas, 3D projectors and a pier for yachts. The music is focused on commercial music but varies depending on the night. The Kalypso is the first club that opened on Zrce beach, about 30 years ago. 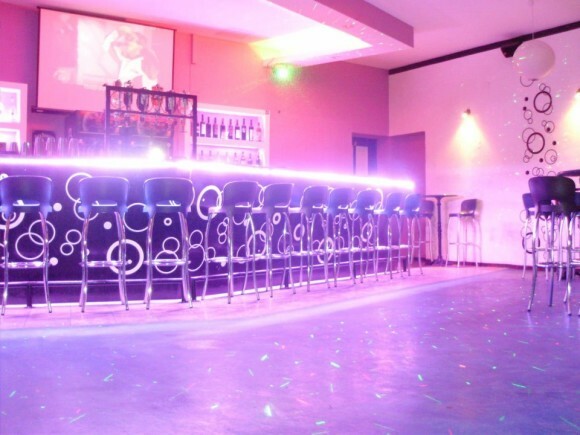 The venue, born as sport-beach bar, has a large open air dance floor, different areas and levels and lots of different bar areas, all set around a circular swimming pool with comfortable sun loungers where you can relax with a drink or a beer. Excellent mix between relaxation and fun, in this place you can be dancing that taking a break on one of the many sofas scattered around the club. 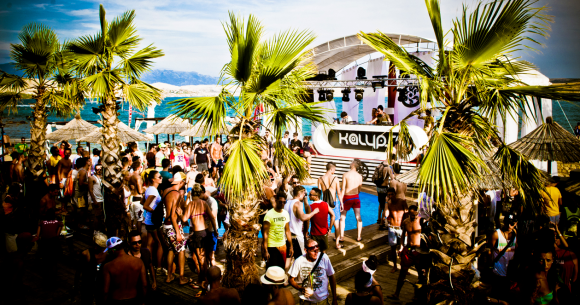 Among the events hosted at the Kalypso There are: Hideout, Sonus, Barrakud, Fresh Island Festival and the Stereo Forest Festival. 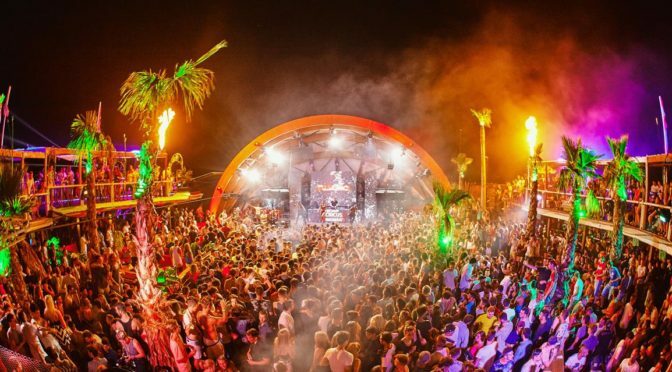 The Euphoria Club, one of the historical venues of Zrce Beach, is this also an open-air club that combines different styles of music with dj from Croatia and abroad. 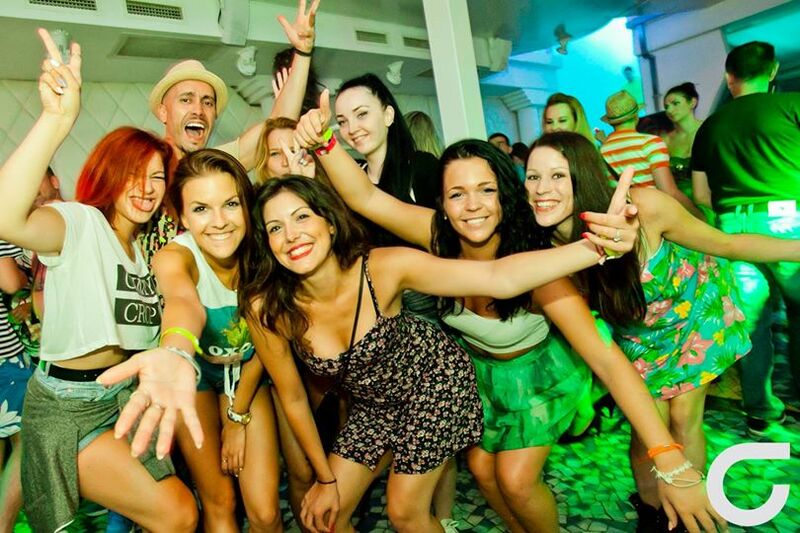 The Club Euphoria prides himself on having the lowest prices of the beach, offering low cost drinks and an healthy, widespread revelry on the beach: every evening with a few euros you can drink beer and vodka redbull at will. During the day, it looks more like a beach bar, but at night the place turns into a real disco. 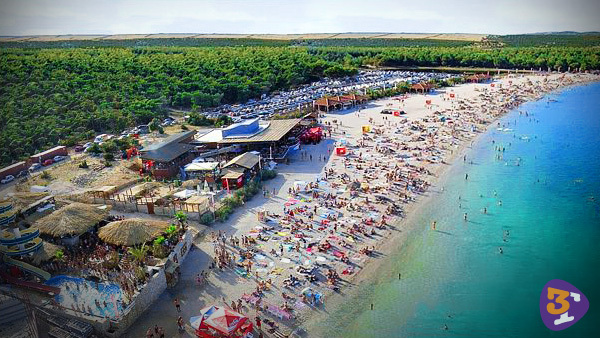 The Club Cocomo is located in the Centre of Novalja and is the ideal place to start the night, before moving to the club of Zrce Beach: the busses leading to Zrce stop outside the entrance. The restaurant is located in an area full of restaurants and pubs: It is therefore obligatory to the after dinner and a great place to meet some nice girl. Commercial music of the moment, played by local djs. The place is not big but it has a beautiful terrace where the music is soft and more you can take a breath, ordering a drink and admiring the wonderful view of the sea. The Club Vanga is the only disco in the town of Pag and it is situated in proximity of the bridge. The evenings offer rotating musical genres: R&B, house music and music years 70 ’, '80 And '90. 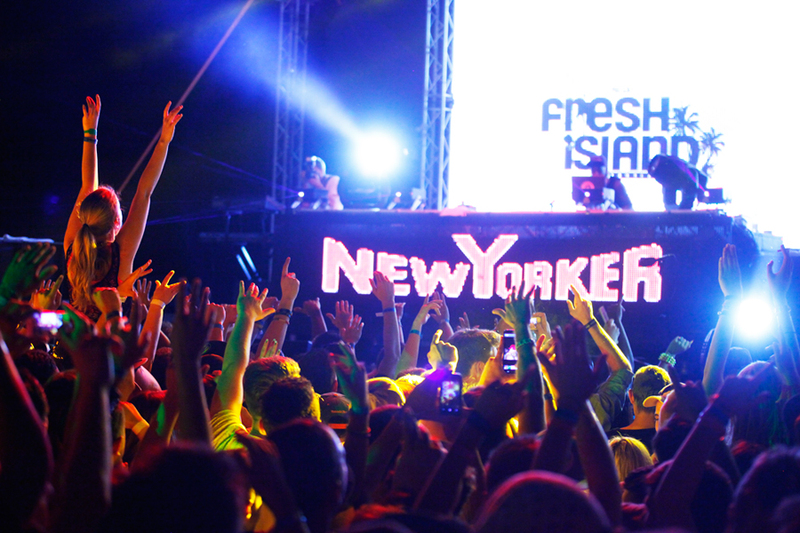 “Fresh Island Festival”: Festival dedicated to hip hop music and rap and hosted in club Aquarius and Papaya. It also see the presence of great artists like Snoop Dogg, Eve, Iggy Azalea, NAS, $ AP Rocky, Rick Ross and Method Man and Redman. 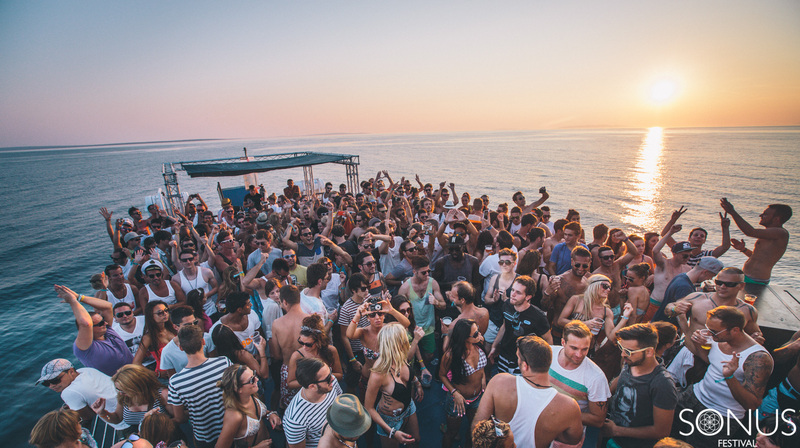 “Sonus Festival”: 5 days of music and Loathing on Zrce Beach and boat parties, starting from August. With artists like Sven Väth, Dixon, Joseph Capriati, Ricardo Villalobos and Richie Hawtin.